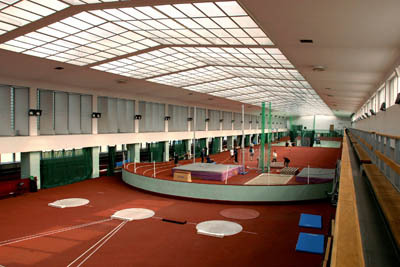 All the events of this year’s Championships will take place at the University of Physical Education in Warsaw, which is not only the biggest Academy of such kind in Poland, but also one of the biggest in Europe in the field of physical culture. The University possesses a great number of modern sports facilities, part of which will be at Players’ disposal during the tournament. 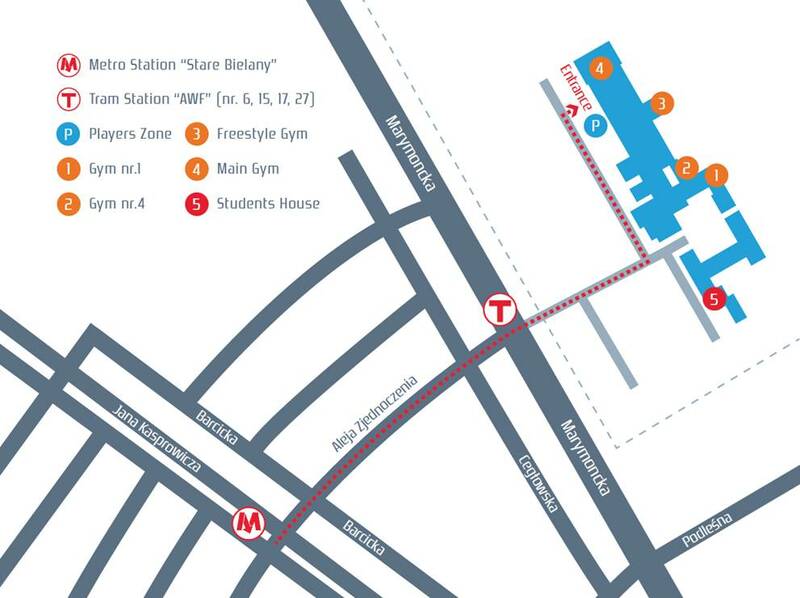 All facilities that will be used throughout the week are situated in one building. With the surface of 1400 m2 and offering a room for 1000 spectators, this sports hall is perfect for games such as volleyball, hand ball, basketball or futsal. During this year’s Championships this is where the most important games will be held, including both Freestyle and Net finals on Saturday. 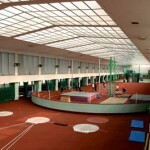 Four sectors of this hall and its circular running track add up to 2809 m2. Sectors 1 and 3, offering a synthetic surface of excellent quality, will be in use during most Freestyle games and will provide the competitors with a perfect warm-up area. 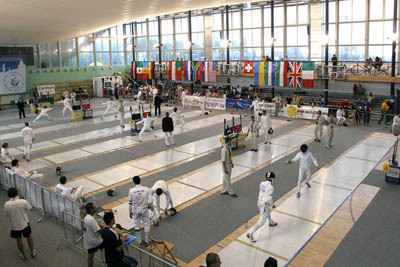 Two additional Net sets can be placed in Sector 2. The bleachers can seat up to 300 spectators. 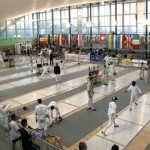 Apart from two great sports halls, the venue offers two minor gyms of around 500 m2 each. Both of them will be used for Net competitions. After a tough match or an intense shred every player will have an opportunity to relax in one of bars and cafes making part of the university campus.